The 402mm x 360mm x 293mm dimensions and 11.1kg weight should mean the Ricoh SP 213SFw fits reasonably easily into the smallest of offices. With a warm-up of time of 27 seconds and a first output speed of 10 seconds, the delay until the machine is fully operable is minimal. The 4-line LCD panel is conveniently located at the front of the machine and all operations can be conducted from there. The printer interface is USB 2.0 and it has wireless-enabled LAN (IEEE 802.11b/g/n). It is also compatible with a variety of Windows platforms. Printer resolution is 600 x 600 dpi and 1,200 x 600 dpi. Multiple copying is available with the Ricoh SP213SFw copier. A zoom feature from 25% to 400% in 1% steps is also available. The fax is G3 compatible and the maximum modem speed is 33.6 Kbps. The high productivity and the fact that the unit is relatively easy to use are some of the main benefits offered by the Ricoh SP 213SFw. Other benefits offered by this MFP include the fast 22 pages per minute and the high-resolution 1,200 x 600 dpi capability. 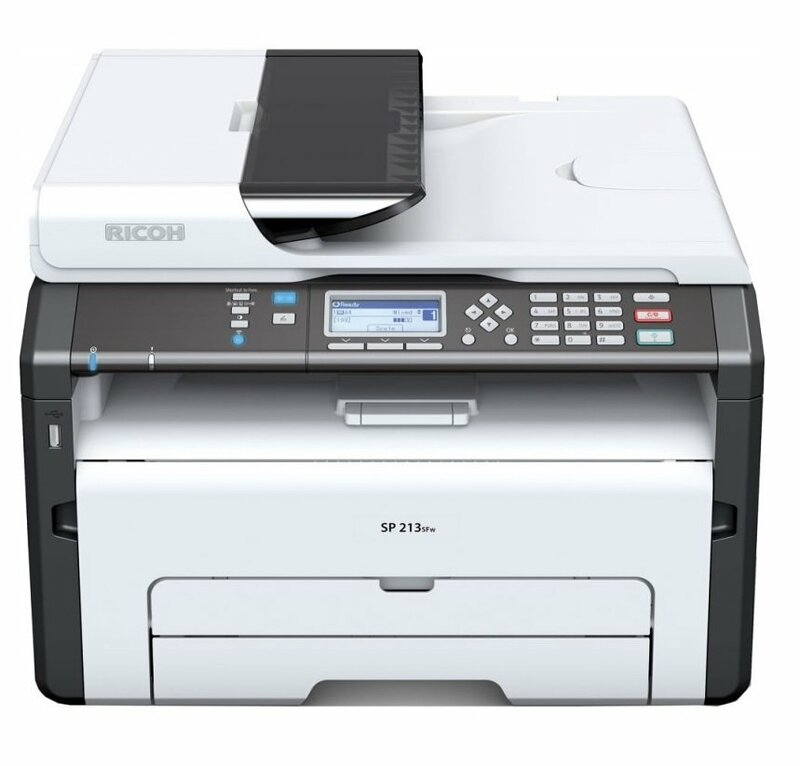 Additional advantages provided by the Ricoh SP 213SFw include the colour scanning and ID Copy, as well as the manual double-sided printing and PCL support.